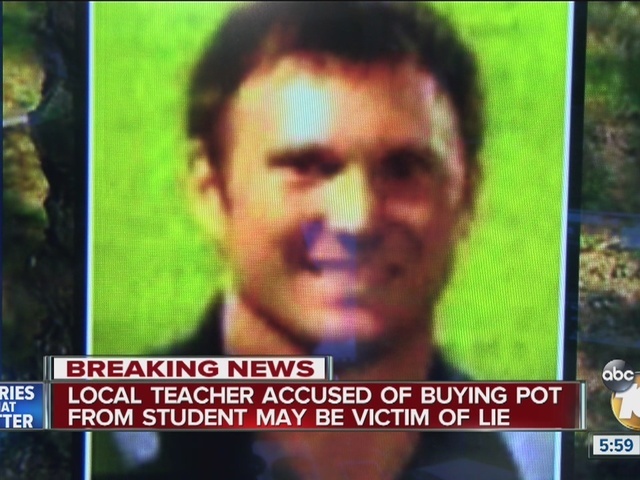 A teenager trying to impress her friends may have cost a San Diego teacher his job. 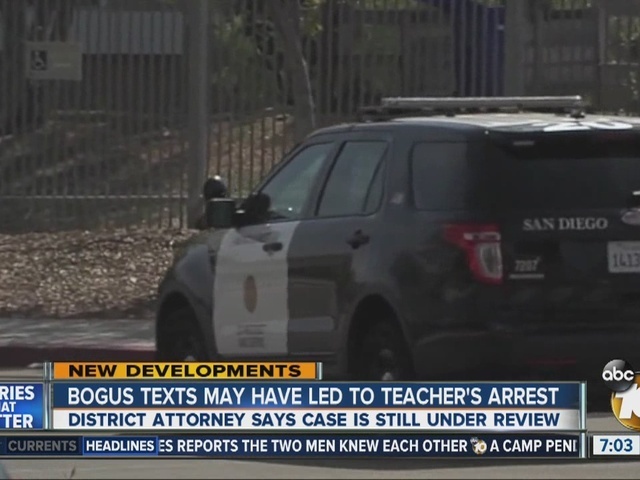 That's according to the attorney for Miles Brown, who taught history and coached Lacrosse at Canyon Crest Academy until he was arrested and forced to resign. Police arrested Brown at the school on Feb. 26. He was accused of trying to buy pot from a student after police said they found communication between the teacher and student. Brown sat down with 10News during an exclusive interview from his attorney's office Thursday evening and talked about his love of teaching. "It's a passion of mine," he said. "It's really a drive there. It's something where I was given so much and I want to give it back." Brown moved to San Diego from North Carolina a year ago. He was thrilled to be teaching at Canyon Crest Academy.
" I meet people and they ask me what do I do? I talk about how I mold minds and change lives. Every day." 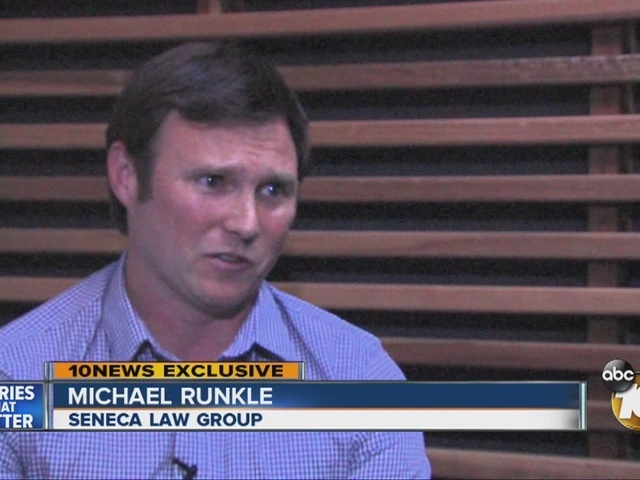 Michael Runkle is a defense attorney and the owner of Seneca Law Group. He's fighting to clear Brown's name by petitioning the San Diego District Attorney's office and the San Diego Police department to declare Brown factually innocent. "There's a penal code section provision that allows us to basically request that they destroy all of the records of those arrests, which is the one way you can make it look like absolutely nothing ever happened and be able to actually clear someone's name," Runkle explained. Runkle revealed an email he received from the student's attorney that states the the teen made the whole thing up. "The minor sat down and explained to the police that all of the alleged text messages that were sent about buying or selling marijuana - they were all fake, they were all completely fabricated and they were completely false," said Runkle. "My minor female client explained to the detective she did not exchange texts with the teacher. She did not have any conversations with the teacher concerning drugs. The texts the police viewed were texts she had sent to herself. The detective acknowledged the phone numbers listed for each text showing to and from were the minor's phone numbers. The detective explained to the minor and her mother they had consulted with an Apple store and were told you could not send yourself a text. The detective asked the minor to show him how she did it. She proceeded to show the detective how she did it. She confirmed again she never exchanged any texts with the teacher. " According to the email the detective met with the student March 2. "She would change the name in the phone so it looks like it's, let's say, Professor Brown, send the text message to herself and basically create a log of conversations that outline what appears to be a drug deal," said Runkle. San Diego police maintain the case is an open and active investigation. "This set of false text messages - they came across, and then they jumped the gun. They went and they dragged my client in handcuffs out of his classroom and out of the school," said Runkle. Runkle said the teenager is totally remorseful. The student and her family have been cooperative. "My understanding is that this information is something that she was doing to impress her friends. She wasn't trying to sabotage a career or ruin someone's life, but that's what happened," said Runkle. Brown said he's still stunned at what happened, but not angry at the student. "Hurt for sure, rug pulled from underneath me. Just life was turned upside down," said Brown. Brown was supposed to be arraigned on the charges last month, but that never happened. A spokeswoman with the District Attorney's Office will only say the case is under review. He remains out of jail on bail. "Given the fact that my client has passed all drug tests for every drug we could possibly test him for; given the fact that the minor that was directly involved with this told them that she fabricated the entire thing; given the fact that there were no text messages on my client's phone; it's absolutely baffling to me as to why the police department hasn't closed their investigation," said Runkle. Runkle has reached out to the San Diego School Board and is waiting to hear back. He says he'll do everything in his power to get his client's job back. "I chose never to do recreational drugs or to purchase drugs because I never would jeopardize my career," Brown said. "Being in the classroom, being on the playing field, makes me feel alive. Getting high or partying like that - that is not worth the moments I have when you win in overtime against La Jolla High School like I did last year. " The district attorney's office and the police department have 60 days to respond to the petition filed in court Thursday. According to Runkle, they must state whether or not they intend to file charges or make a decision to destroy the arrest records and clear Brown's name. Brown hopes his career can be salvaged. "I feel the most alive in the classroom."